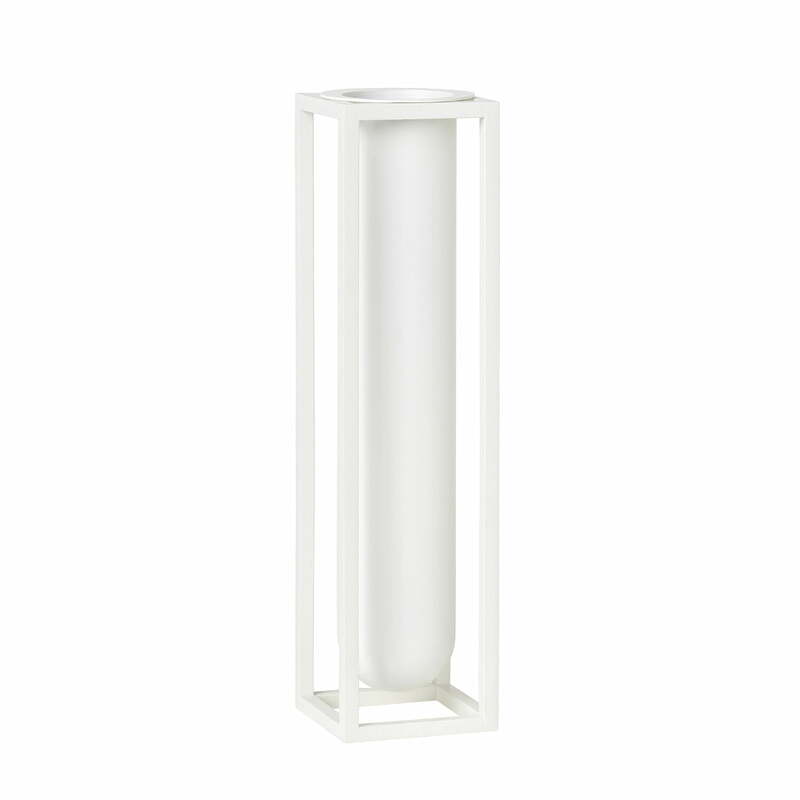 The Flora vase from by Lassen is an elegant container that is reminiscent of the popular Kubus candleholder. With a diameter of 6 cm and a height of 24 cm, the graphic steel vase looks particularly beautiful when combined with poppy flowers, roses or tulips. Thanks to the removable dividers (isolating insert) unusual bouquets can be put together in the spirit of Ikebana. 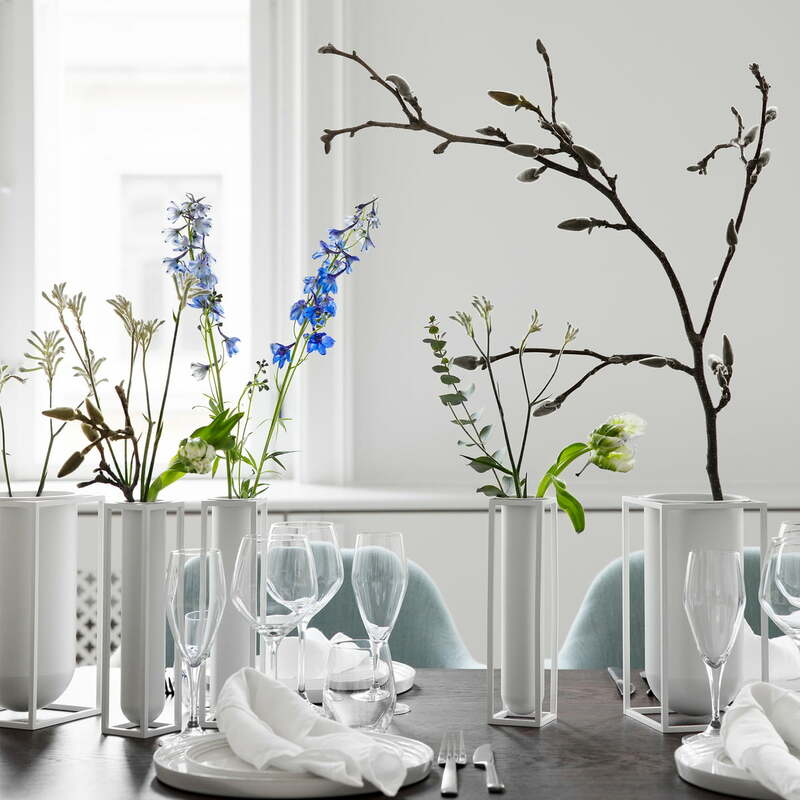 The Kubus Vase Flora from by Lassen in the ambience view. The vase in white has flower separators to take out with which the flowers can be beautifully set in scene. 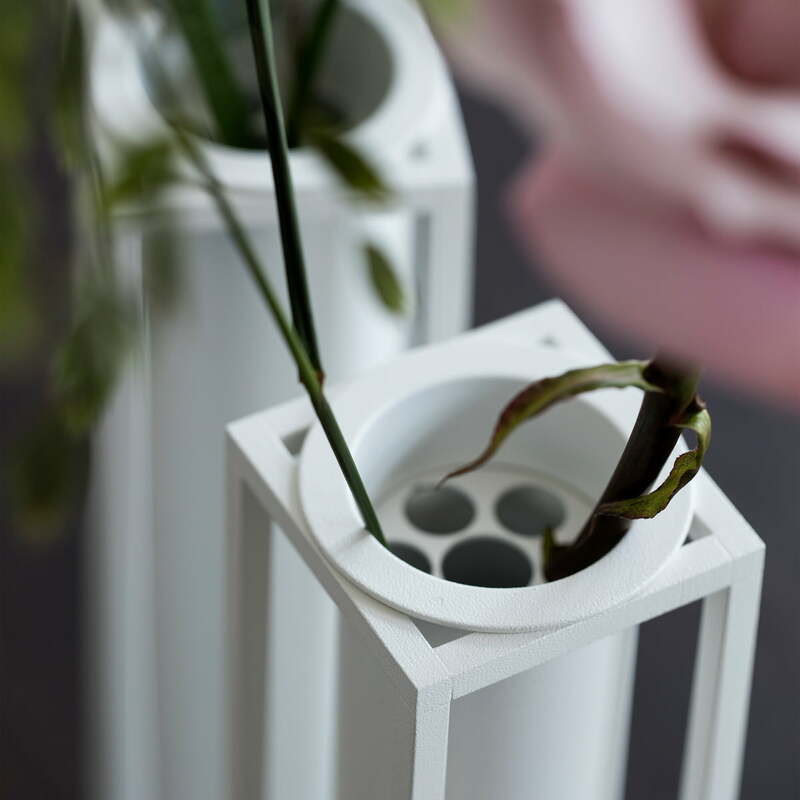 The Kubus Vase Flora from by Lassen in white in the ambience view. The vase in white makes itself to several excellent on the beautifully set dining table. The Kubus Vase Flora by Lassen in black in the ambience view. 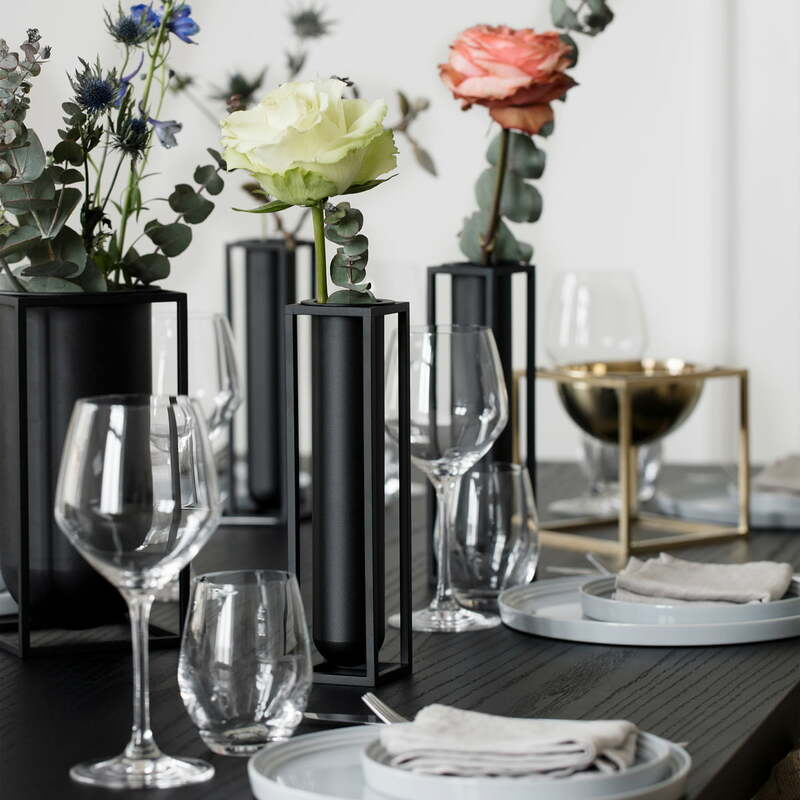 On the festively set dining table, the vase in black sets modern and minimalist accents.